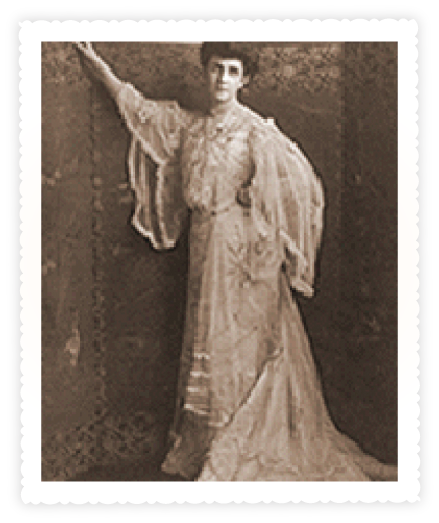 “It is simply inevitable that I should end up on the stage,” Adrienne stated in 1904 just before her Boston debut as a dramatic reader. “The footlights have beckoned me since I was a little child and I simply must respond. It has always been my dream to portray all the heroic feminine characters of Shakespeare.” (Boston Traveler, January 25, 1904). From her childhood in Savannah, through her drama studies in Boston and New York, Adrienne held on to this dream of a career on the legitimate theater stage. The harsh realities of race and gender in America, however, doomed the realization of this dream. Except for Vaudeville, Minstrelsy, and all-Black dramatic productions, there was no place for Blacks on the American theater stage. As the daughter of light-skinned, slave-born house servants, Adrienne’s skin was fair. She identified herself as a Creole, a racially ambiguous term. in 1094, at 35 years old she made her debut in Boston. 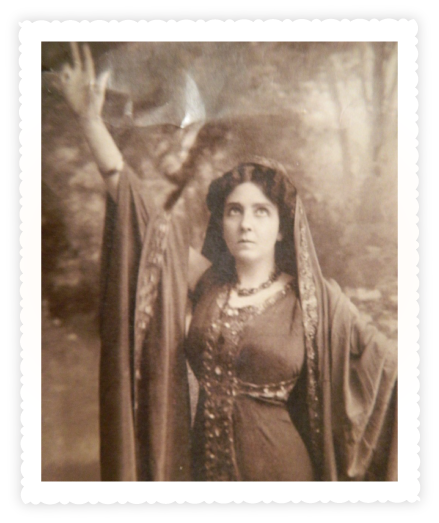 That January afternoon, Adrienne Herndon, under the stage name of Anne Du Bignon, performed in Steinert Hall, reciting the twenty-two parts of Shakespeare’s Antony and Cleopatra. Having thoroughly promoted her debut through advertisements and well-placed references, Adrienne succeeded in gaining the attention of more than ten Boston area newspapers. For the most part, the reviews were glowing. “She has a remarkable gift and unusual aptitude,” wrote Henry Clapp, the Boston Herald drama critic. (Boston Herald, January 29, 1904). Prior to the debut, Clapp had introduced her to David Belasco, America’s leading theater manager, who had seen her work in New York and confirmed her talent. “You will undoubtedly make a fine character actress,” he had written (Belasco 1904). To sustain the momentum of her critical acclaim, Herndon hired the George Britt Company, a lecture and musical agency, to arrange for platform appearances. With an engagement secured in Lynn, Massachusetts, it seemed that Adrienne Herndon was on her way to a stage career. But only one more appearance came: a reading in Bellow Falls, Vermont, and miles away from Boston. A talent that had so roundly been applauded was in a few months’ time met with a chilled silence. Had he changed his mind about her talent? Or had he and others discovered her race? It would not have been difficult to find out that Anne Du Bignon had been known as Adrienne Herndon while a student at the School of Expression. 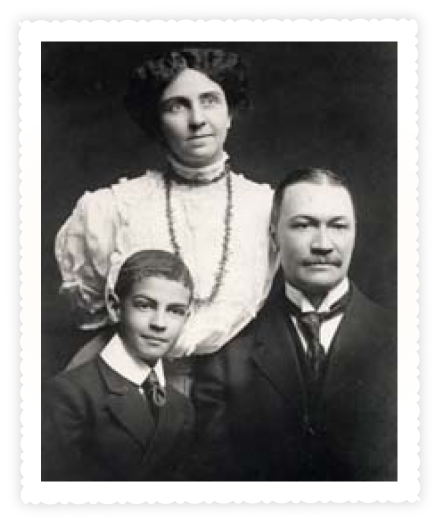 Samuel Curry, the founder and director of the school, knew that she was the wife of Alonzo Herndon, Atlanta’s leading barber and wealthiest Black citizen, as Herndon at that time was just a little over a year away from launching his greatest venture: Atlanta Life Insurance Company. To circumvent racial restriction in the American theater, Curry had counseled Adrienne Herndon to establish a career first in London before an American debut. Knowledge of her race was just a short step away from Clapp and the theater world. Placing her dream on hold, Adrienne Herndon threw herself into her work as head of the department of drama and elocution at Atlanta University. Unable to perform Shakespeare in the North, she brought him south, presenting the University’s first Shakespearean production, The Merchant of Venice, in 1905. From then until her untimely death in 1910, Adrienne Herndon directed the University’s theater offerings and gave Atlanta’s African-American community access to serious drama with professional stage sets and costumes. 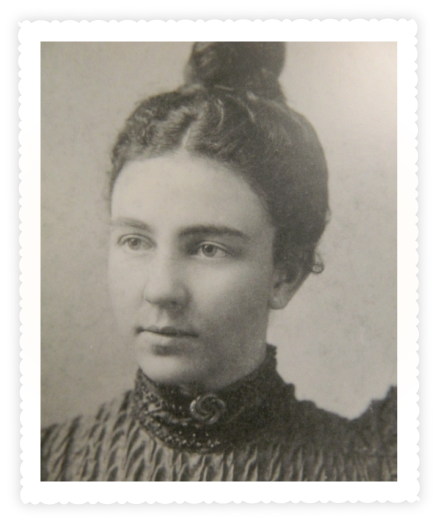 Moreover, she opened the University community to the American theater world, hosting the William Gillette Theater Company of New York in a performance of Sherlock Holmes in the Adventure of the Second Stain. Excluded by race from the American theater, she proceeded to make Atlanta a regional center for the dramatic arts. She engaged others at the University in her work. W. E. B. Du Bois, her colleague on the faculty, served as the stage manager for the Gillette production. Adrienne Herndon experienced the frustrations of gender prejudice as well as the sting of racism. As a child who excelled at oratory in grade school, her family was discouraging. “When as a girl I gained honors at school for my work in expression,” she recalled, “instead of hearing praise at home for these distinctions my mother would exclaim ‘Why could you not have been born a boy? . . . Then you could make us proud by your oratory.’” (Boston Traveler, January 25, 1904). Many African-American women who pursued careers in teaching earned respect and status for providing a critical service to a community in dire need. Moreover, working wives and mothers were characteristic of Black households. There was, however, no tolerance for women pursuing artistic careers away from home and family. Alonzo Herndon, atypical for the men of his day, promised Adrienne before their marriage that he would allow her to pursue her drama studies. He probably had no idea, however, how demanding of time and resources that pursuit would be, nor would he have fully appreciated the fact that any serious career on the stage would mean extended absences from home. Ironically, it was the exclusion from the theater that returned Adrienne full time to her home and family. In one last grab for the stage, Adrienne studied at the American Academy of Dramatic Arts in New York. She was furthering her drama studies and was also escaping Atlanta, a city that had just undergone the worst racial violence in Georgia. In the Atlanta Race Riot of 1906, mobs of White men numbering in the thousands chased, beat, and massacred Blacks on the streets of downtown Atlanta, a bloody response to erroneous reports of Black men assaulting White women. In fear and disgust, Adrienne moved her young son Norris to Philadelphia to live with relatives. She enrolled at the nearby Academy in New York, leaving Alonzo Herndon alone in distant Atlanta. The riot had overturned their household, dividing the family into three parts. After two terms at the American Academy as a second-class student who was excluded from the stock theater productions, the message finally reached Adrienne. The goal of performing on the legitimate theater stage was for her, as a Black person, unattainable. While racism in the North did not generally match the violent extremes of racism in the South, it was no less destructive. Adrienne Herndon returned to Atlanta with her son, and became absorbed in a domestic project that would be one of her most significant contributions to the Herndon Legacy. Nearly two years after the Atlanta Riot, the Herndons began construction of the new house they had been planning for some time. With Adrienne Herndon as architect and husband Alonzo as builder/contractor, a two-story Beaux Arts Classical house was erected adjacent to Atlanta University. Denied the American Academy stage, she developed one in her own neighborhood. Frustrated by her efforts to be an artist outside of the home, she made her home the focus of her artistic talent, designing a landmark that would memorialize her work and that of her family. Within three months of its completion, however, Adrienne died of Addison’s disease, her struggles with race and gender prejudice only partially resolved.